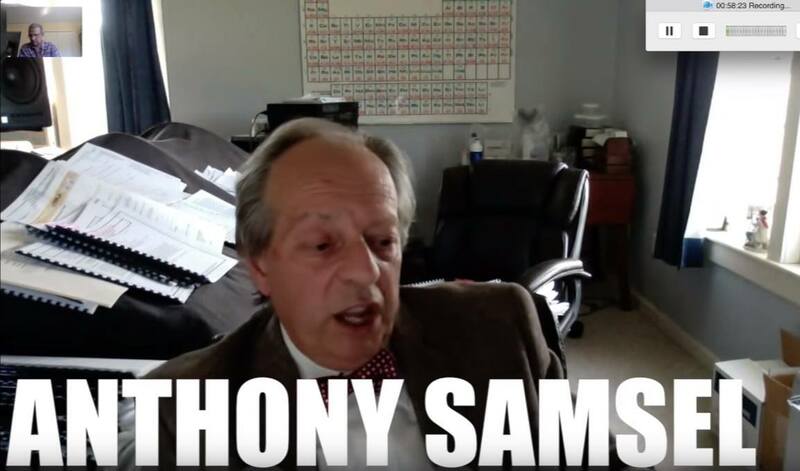 Dr. Anthony Samsel, a leading publisher on the dangers of glyphosate, has discovered that various popular vaccines are contaminated with glyphosate. How? Well, vaccine makers sometimes use animal byproducts in vaccines, products such as chicken egg protein or gelatine that comes from bones. And if those vaccine makers are using animals that come out of factory farms, chances are they are fed GMO and glyphosate laced feed. If so, they would pick up Glyphosate into their system just as we humans do. Therefore, egg protein and gelatine made from these animals may also contain glyphosate, which in turn would then contaminate the vaccines that use these products. Finally, people, or animals, vaccinated with these products would have glyphosate directly injected into them, and will in due course have glyphosate initiating a cascade of diseases. Anthony Samsel was not passing opinion on this. Rather, he collected vast samples of these popular vaccines and got them tested by multiple labs in USA for presence of Glyphosate, and found, as he suspected, the vaccines to be largely contaminated by it. Anthony and Stephanie are awesome human beings! They proved what I suspected for years. Dr. Andrew Wakefield found a correlation with autism and the MMR vaccine. Dr Swanson found a correlation with glyphosate and autism. I'm just a carpenter, but I can see the obvious! Those Rats in DC are intentionally killing us! So if we connect the dots - we know that GBHs (glyphosate based herbicides) cause mitochondrial dysfunction. We know mitochondrial dysfunction can be a triggering factor in the onset of autism. When did the autism rates shoot up? Of course we know that autism can be caused by over-stimulating the immune system (like by getting vaccinated - especially in multiple vax visits) and causing elevated levels of IL-6 - interleukin - 6 and all it takes is an immune system assault. Not good - but good to know and be aware. i hope his papers put some numbers to the levels found in various vaccines to compare to the alleged "safe" levels bought by the industry from our alphabet agency prostitutes. Wouldn't that be relevant?